● Aric Almirola started 21st and finished 18th. ● Almirola pitted the No. 10 Smithfield Prime Fresh Ford under caution on lap 14 for fuel only. He was scored 18th off pit road. ● He drove to sixth by lap 78 before pitting for four tires, fuel and air pressure and chassis adjustments. ● Almirola opted not to pit at the conclusion of the stage. ● Started fifth and finished 12th. ● The No. 10 Ford battled in and around the top-10 during the opening laps. ● Almirola drove as high as ninth and stayed inside the top-10 before pitting on lap 142 for four tires, fuel and adjustments. ● The caution was called on lap 148. Running in 12th place, Almirola took the wave-around to advance to the lead lap. ● He raced just outside the top-10 before the end Stage 2. ● Started 14th and finished seventh. ● Almirola rallied back to the top-10 in just a few laps when the checkered flag waved to start Stage 3. ● He raced to sixth by lap 215 but noted that if he couldn’t draft or get a push from behind it would be difficult to catch up to any other cars. ● Crew chief Johnny Klausmeier called Almirola to the pits from second place on lap 236 for four tires, fuel and air pressure adjustments. He was scored fourth after green-flag pit stops cycled through. ● After a lap-254 caution, the No. 10 Ford team opted not to pit and advanced to first place. ● He raced inside the top-four and pitted from third place on lap 301 for two right-side tires and fuel. ● After green-flag pit stops cycled through, Almirola raced his way up to seventh to earn his sixth top-10 of the season. ● Almirola earned his sixth top-10 of the season and his third top-10 in 17 career Monster Energy NASCAR Cup Series starts at Texas. ● This was Almirola’s second straight top-10 at Texas. ● Almirola’s six straight top-10s marks a career high. His previous best top-10 streak was four in April-May 2013. ● Almirola’s seventh-place result equaled his previous best finish at Texas – seventh in April 2013. 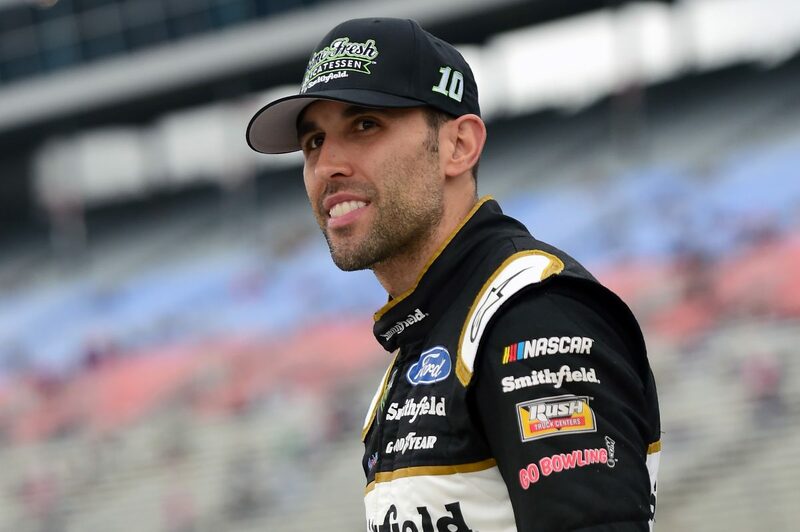 ● Almirola led once for three laps – his first laps led at Texas. ● Denny Hamlin won the O’Reilly Auto Parts 500 to score his 33rd career Monster Energy NASCAR Cup Series victory, his second of the season and his third at Texas. His margin of victory over second-place Clint Bowyer was 2.743 seconds.